Here are some pics of our Life Church women’s retreat this weekend. Our theme was “Under Construction” Demolition, Excavation and Rebuilding were the key topics of the weekend. We had amazing speakers sharing their even more amazing stories. It was a great girl bonding weekend. 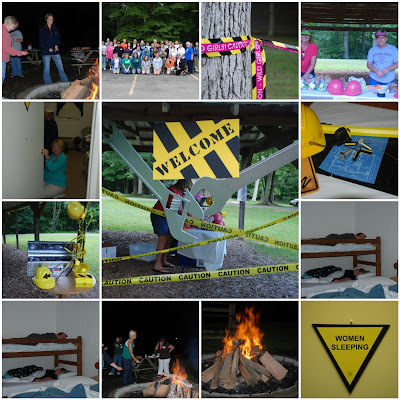 There is something special about spending time with women of faith in a camp setting–it brings back fond memories of brownies/girl scouts, slumber parties and summer camps. This retreat did not disappoint…fellowship, staying up all night, pranks, cooking around the campfire, laughs, tears and friendships formed made for a memorable weekend. This entry was posted in Under Construction Party on August 23, 2009 by Setting the Mood.